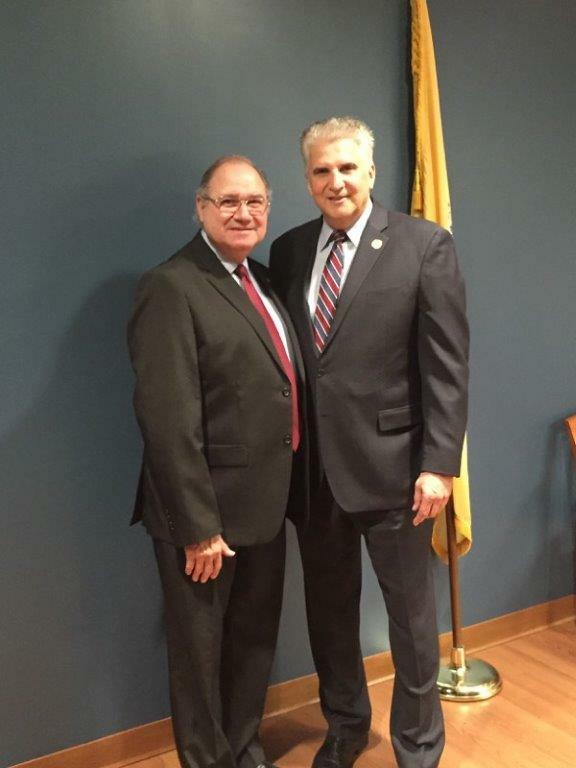 Essex County, NJ – Essex County Executive Joseph N. DiVincenzo, Jr. was elected Secretary of the North Jersey Transportation Planning Authority (NJTPA) Board of Trustees during its annual reorganization meeting on Monday, January 22nd. “The NJTPA plays an important role, overseeing the investment of billions of dollars in our region’s transportation infrastructure and virtually all projects are designed with safety as a top priority,” DiVincenzo said. “Just today, our Board approved nearly $51 million for safety projects, including an allocation for improvements in Essex County. I look forward to continuing this vital work for on behalf of Essex County and our region,” he said. The NJTPA oversees regional transportation planning and annually authorizes more than $1 billion in federal surface transportation funding for 13 counties in northern and central New Jersey. The Executive Committee provides guidance and leadership to the full Board on a wide range of planning, policy and administrative issues. It meets as needed to review financial, personnel and policy matters. Board membership is an uncompensated position. DiVincenzo was elected Essex County Executive in 2002 and joined the NJTPA Board of Trustees in 2003. He was first elected as a member of the Board’s Executive Committee in 2010. Prior to becoming County Executive, he served on the Essex County Freeholder Board, a position he was appointed to in 1990. At the meeting, the NJTPA Board also selected four other members of its Executive Committee. In addition to DiVincenzo, the elected members of the Executive Committee are Union County Freeholder Angel Estrada, Chair; Hunterdon County Freeholder Matthew Holt, First Vice-Chair; and Passaic County Freeholder John Bartlett, Second Vice-Chair. In accordance with the by-laws, Freeholder Estrada appointed Morris County Freeholder Kathryn A. DeFillippo to the position of Third Vice-Chair.